The Intruder-21 by Dream Boats is the most sea worthy, back-bay fishing boat designed and holds four World Records! So seaworthy, two brothers proved it when they took an Intruder-21 across the North Atlantic from Tampa, Florida, to Germany. You can locate the yellow rugged Intruder 21 boat on YouTube riding 12’ seas and doing what others said was impossible. 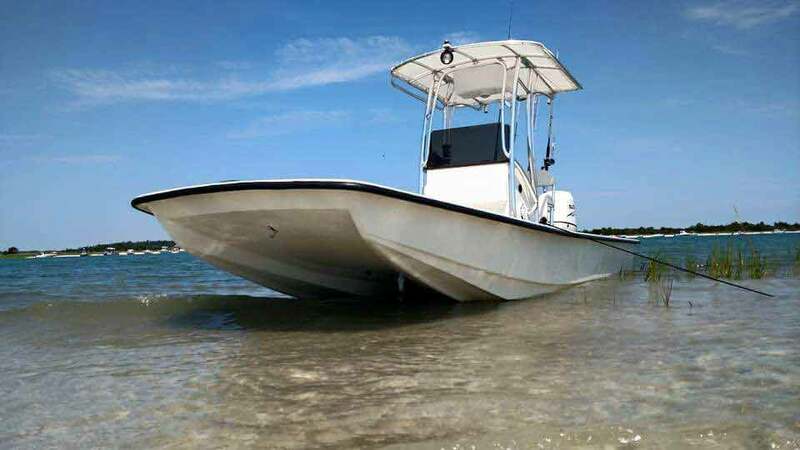 The Intruder 21 series is the most reliable and versatile shallow water boat you could imagine. Its patented hull design allows us to go through just inches of water or to take it off-shore to reach the deep water fishing spots. Everyone who experiences a trip with us comments on how smooth and dry the ride is. Book your “Day On The Water” with us and discover how terrific the Intruder-21 is for yourself. Website design by Portfolio Marketing Group, Wilmington, NC.